Situated on a quiet road in a popular residential area, this charming, two double bedroom ground floor apartment makes for a perfect first home. 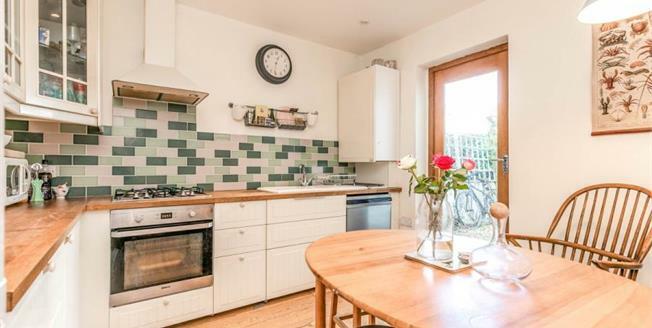 Elevated off of the street level, the property consists of two double bedrooms both with box bay windows, a spacious kitchen which has plenty of cupboard space as well as room for a dining table plus there is also a separate living room. There is a large family bathroom to the rear of the apartment. The sunny patio garden which is accessed from the kitchen, has raised flower beds and is the prefect entertaining space for summer barbeques. Nearby shopping in Lewes Road includes a Sainsbury's together with a wide range of independent shops and cafes. Also within walking distance are good schools for children of all age groups. Beautiful Queens Park with its ornamental lake and large children's play area and Tennis Courts is just a few minutes' walk away also along with the very popular William Clarke Park with children's play area. Brighton City centre with its comprehensive shopping, theatres, cinemas and fine range of bars and restaurants plus the Seafront are all less than a 2 mile distance. Eclectic Brighton Lanes with its wide variety of independent local shopping, bars and restaurants are approximately a 20 minute walk as well as both Brighton and London Road train stations.